Office holiday parties can be the highlight of your company’s work year or one of the year’s biggest headaches. 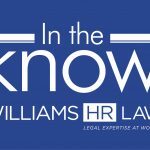 It is customary for employers to host a party or event during the holiday season, however employers can often lose sight of the issues that can arise during these events. A common issue that will arise during holiday parties is over-intoxication, but there are other potential sources of liability that employers should be mindful of when planning their events such as injury to employees and guests, workplace harassment and interpersonal disputes between employees. While it is not possible to eliminate all risks associated with hosting holiday parties, employers can and should take steps to minimize their exposures and ensure that holiday parties are the positive and fun events that employers intend them to be. 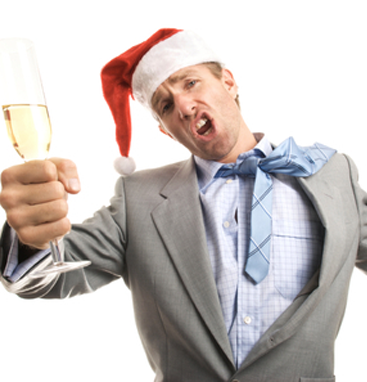 As most employers are aware, alcohol is often the source of problems that arise at office holiday parties. Offering a drink or two can be an effective way for employers to show their appreciation for employees as well as encouraging relaxed, social behavior among employees and party guests. However, employers who offer an open bar can expose themselves to a variety of problems as over-intoxicated employees are much more likely to engage in violent and harassing behavior and cause harm to persons at the event. Intoxicated employees can also be a danger after the event, if they choose to drive while intoxicated. All of these issues can potentially result in liability for employers, even if the party is conducted off company premises during non-working hours. One approach employers may take to reduce the risk of alcohol-related exposures is to limit the alcohol served by issuing drink tickets to employees. Rather than providing an open bar and leaving consumption at guests’ discretion, a drink ticket system allows employers to communicate to employees that they are expected to drink responsibly at an event without appearing strict or authoritarian. It is also advisable to designate a number of employees who will remain sober and observe guests for problematic behaviours and, if necessary, intervene to prevent an incident. Another tactic is to serve only wine and beer and to avoid providing employees with liquor as this tends to slow the pace at which guests consume alcohol and reduces the risk that they will become over-intoxicated. Ensuring employees do not over-indulge is only the first step in avoiding alcohol-related mishaps. Employers must also be aware that if they are serving alcohol, they may be liable for employees or other guests who leave the party while intoxicated and then get into a car accident. For this reason, it is a good idea to offer employees taxi vouchers or a rideshare service like Uber or Lyft to ensure they arrive home safely, if they have been drinking. In smaller offices, certain managers may also act as designated drivers who can take employees home if they are too intoxicated to drive. The legalization of cannabis also creates additional risks for employers. Cannabis impairs an individual’s judgement and when mixed with alcohol it can exacerbate the intoxicating effects of both substances. Because cannabis will necessarily be consumed outdoors, it will also be more difficult to monitor and control employee and guest usage. 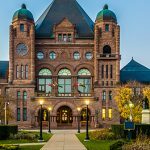 For this reason, it may be wise for employers to caution against the mixing of alcohol and cannabis at the holiday event or simply to ask employees to refrain from using recreational cannabis at the event entirely. If employers do choose to permit the consumption of recreational cannabis during a working event, they should ensure that its usage is controlled and limited. Employers should ensure that guests are only smoking recreational cannabis in designated smoking areas and clearly indicate where these smoking areas are located. Employers should also communicate to guests that those under the influence of recreational cannabis are expected not to drive and reiterate that the services available to guests under the influence of alcohol are equally available to those under the influence of cannabis. In order to have a successful holiday party, employers may also wish to include a fixed time when the party will end. Parties with short, fixed durations give employees less opportunity to engage in unwelcome behaviours and clearly communicates that the party is not expected to be an all-night affair. Employees in managerial and supervisory roles should also be encouraged to lead by example, consuming alcohol responsibly, behaving respectably and generally keeping the party professional. In this regard, it can often be helpful for employers to remind employees that they are at a work function by making announcements related to company or employee accomplishments in the past year and reiterating goals for the coming year. Office holiday parties are meant to be fun events to reward employees for their service and to foster a collegial, team-centric environment but these events can turn into disasters for employers who fail to plan adequately. Ensuring that measures are in place to keep employees safe, comfortable and professional at company functions is an essential element of office party planning that cannot be overlooked. Office parties should be fun for everyone, but a pinch of foresight can save pounds of trouble down the road.